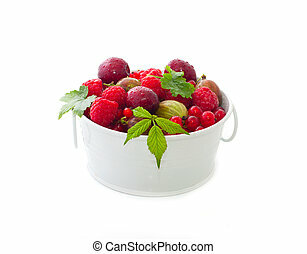 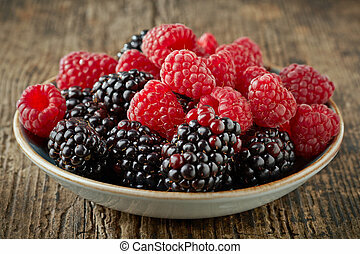 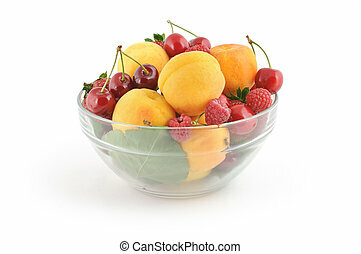 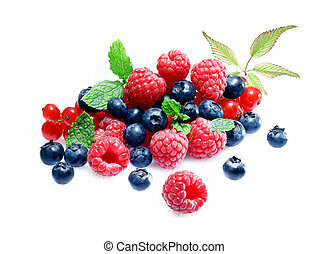 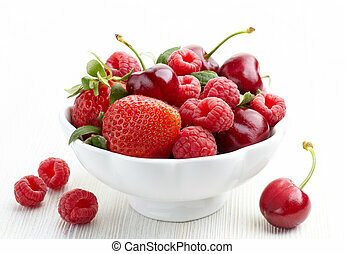 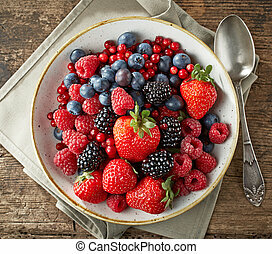 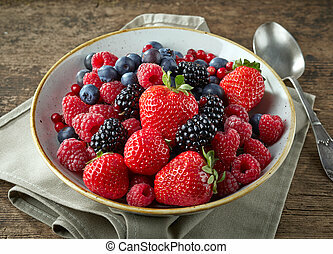 Bowl of fresh berries with copyspace. 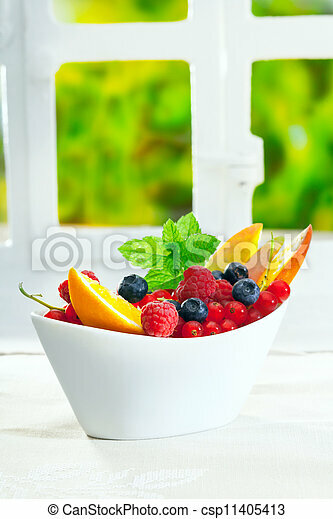 Bowl of fresh berries including raspberries, blueberries and redcurrants, garnished with sliced oranges and mint on an indoor table with copyspace. 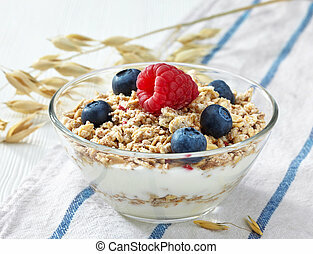 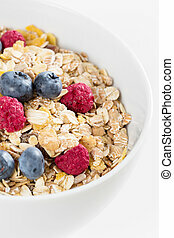 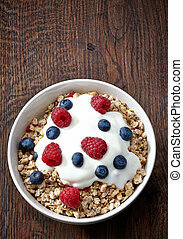 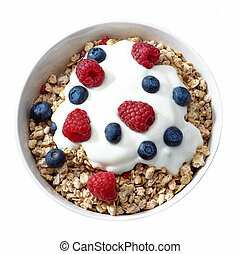 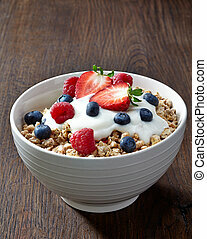 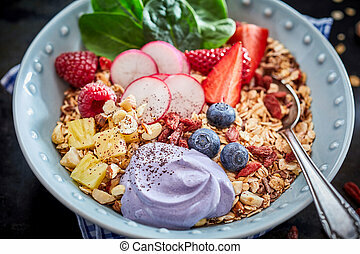 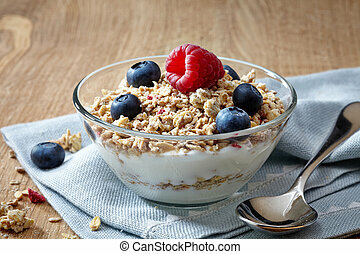 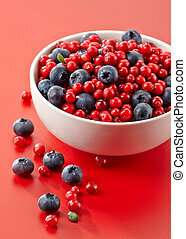 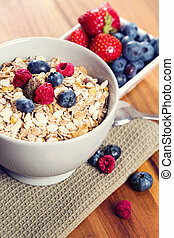 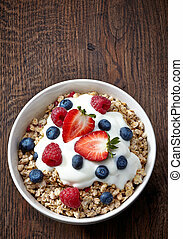 Close up of healthy muesli with fresh berries on white background. 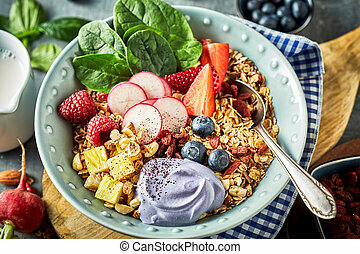 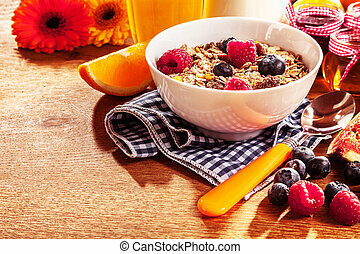 A healthy bowl of muesli with fresh berries on the table.